Random Piercings In The Works……. Some recent piercings and a cool Tragus – Conch Industrial, can’t wait to see how that one heals up. At first I didn’t think I could find the correct angle to do it with a barbell because I didn’t want the barbell to pull on the Tragus which would cause to much pressure on the piercing and result in hypertrophic scarring and damage to the tragus cartlidge but with some keen planning I was able to find a perfect angle and the jewelry can rest in the cartlidge without ressistance . 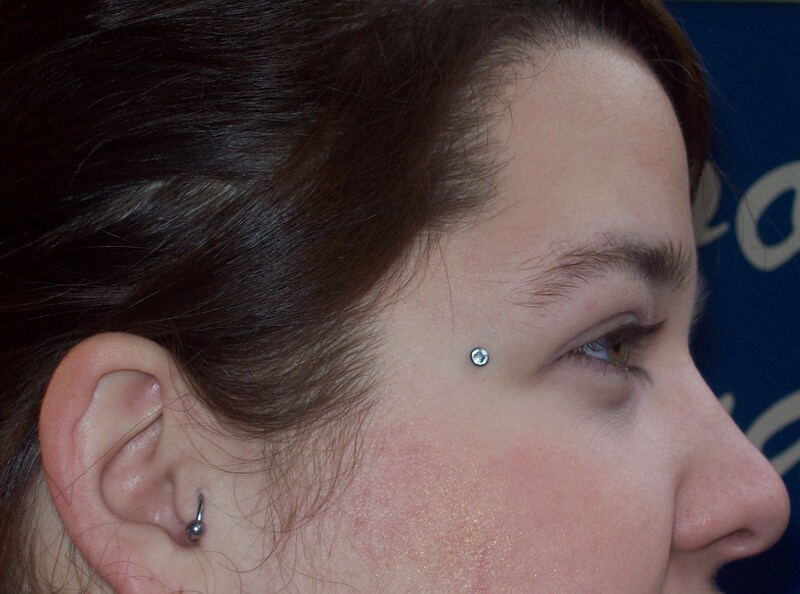 I finally got a picture of one of the million Monroe piercings I’ve done but have yet to put in my portfolio. I really like how this one looks natural on her face. And another beautifully healed Dermal Anchor! 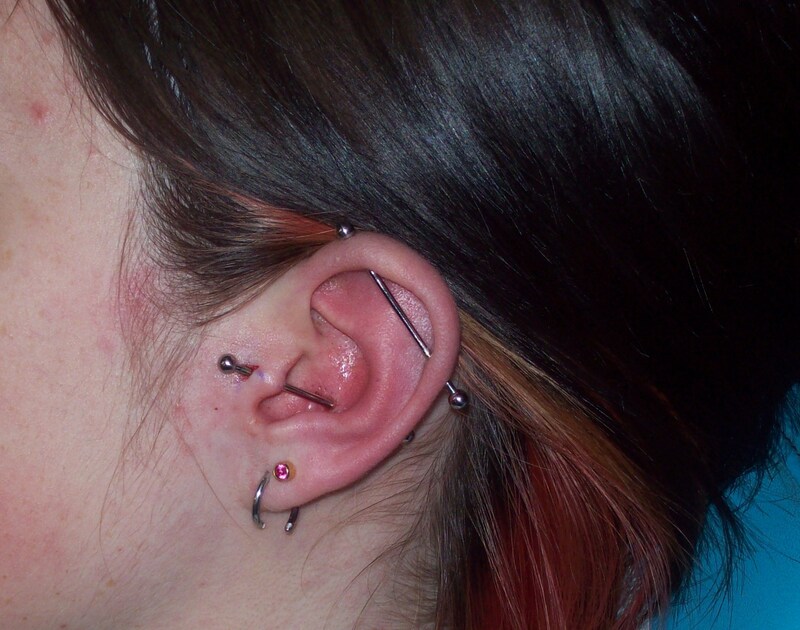 I just love doing these piercings!!! Previous M.R.S.A., what you need to know…..